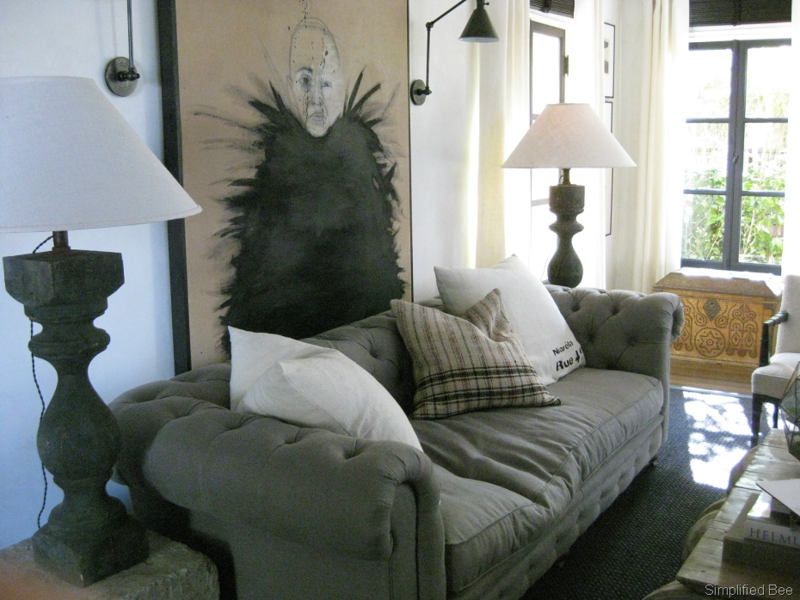 Art lovers and decorators will often say that the sight of a bare wall makes them uneasy. How to remedy this you may wonder? 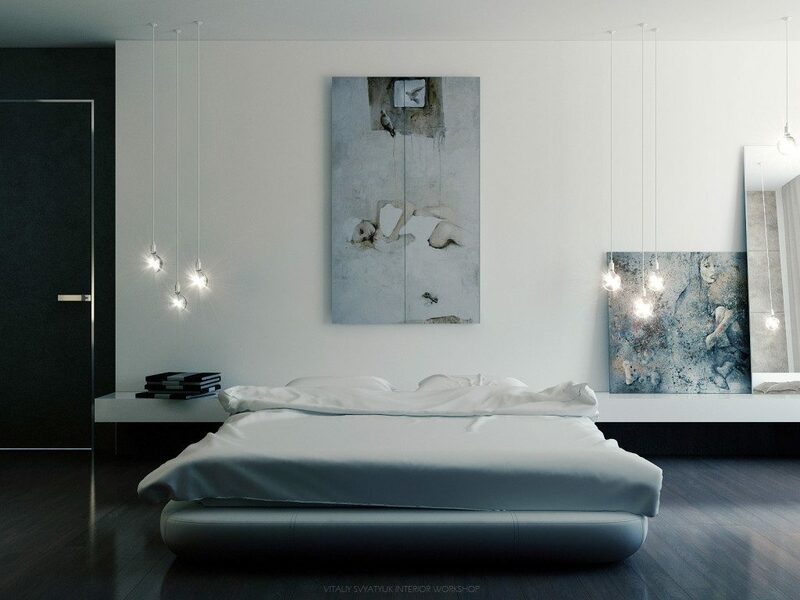 Well, even having one carefully-selected piece of artwork can bring new energy to a room and completely revitalise it. This is why we’re here to help you navigate the crucial process of choosing the right work of art with a few simple questions. Buying artwork is not to be taken lightly. When choosing, be sure to remember that you’re going to be walking by it, sitting in front of it and looking at it every single day. It will become a defining element in your space. This is why it needs to be a true reflection of your most authentic taste. You don’t buy a work of art because you find it to be cute or because it matches the lampshade your aunt gave you for your sitting room. On the contrary, you buy it because you love it. It needs to be a personal purchase, one made for you, by you. If you choose your art with this in mind, you won’t get tired of it. In fact, your view of it will change and evolve over time, leading you to love it in a new way all over again! Does it bring harmony to your space? 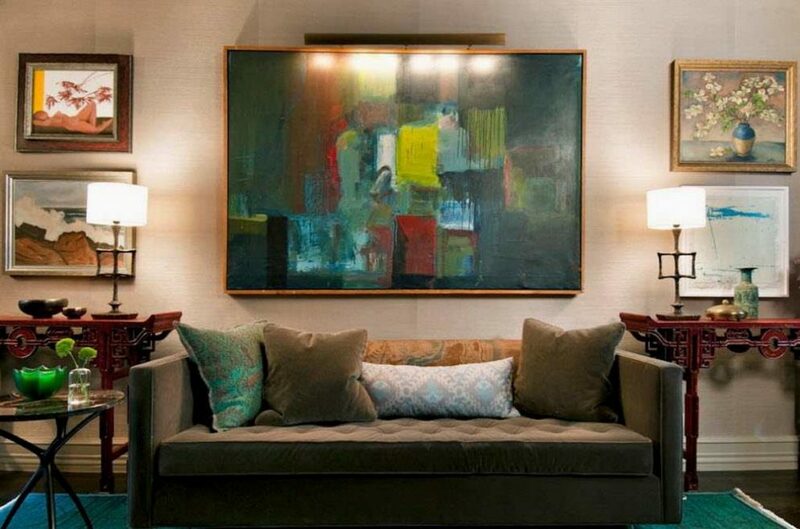 So you’re in search of artwork that will sync perfectly with your pre-existing deco? A rare pearl indeed. Luckily, KAZoART has advice on how to achieve this vision without any faux pas. Let’s say you go for a bold and daring work of art, you’ll need to balance it out with a sleek and discreet interior decoration. Keep in mind that the more personality a work has, the more room it’ll need to breathe. 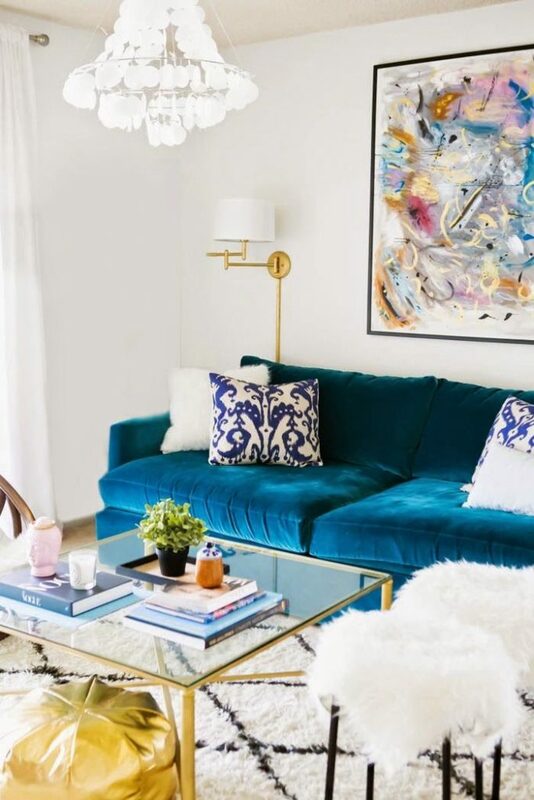 On that same note, be sure to lighten your decorative touch so that you don’t find yourself living in too “noisy” of a space (see an example below). While these interiors make for great photo-ops in design magazines, they’re much less pleasant for everyday living. Look at your work of art and choose one or two of your favourite colours therein. Have them? Good. These are now your accent colours. Repeating them two or three times throughout your interior creates a well-balanced and cohesive space. Your accent colours can appear in cushions, coffee table books, rugs, vases and just about any other accessory you can imagine. You don’t need to match your tones perfectly, just make sure your space has an overall sense of balance and flow. Have you considered the proportions? Study your space. Is your couch by itself or pushed up against a blank wall? If so, take the time to reflect on the size of the work you’ll need to buy. If your canvas is massive and dwarfs your couch, it’ll make your sofa look like doll furniture. But at the same time, if it’s too small, it will get lost in the space thus losing its ability to make a statement. The rule of thumb is to hang your painting so that its center is at eye level. What’s more, it must not exceed two-thirds of the size of the sofa it’s hanging over. Be sure to leave a small space between the bottom of the painting and the top of your sofa so that you don’t hit your head on it when reclining. The same goes when hanging a painting over your headboard. When purchasing with an online art gallery, you can often use their “try it out” or test feature which lets you see the work within the context of a sitting room or bedroom. In case you’d like to delve into the specifics of displaying art, we’ve written an article on this exact subject. Let us help you artfully frame and hang your pieces. Which room to put it in? Sometimes when buying art, you don’t have to decide which room you should hang your it in because the painting has already taken that decision for you! However, as this rarely the case, you should be aware of a few guidelines. 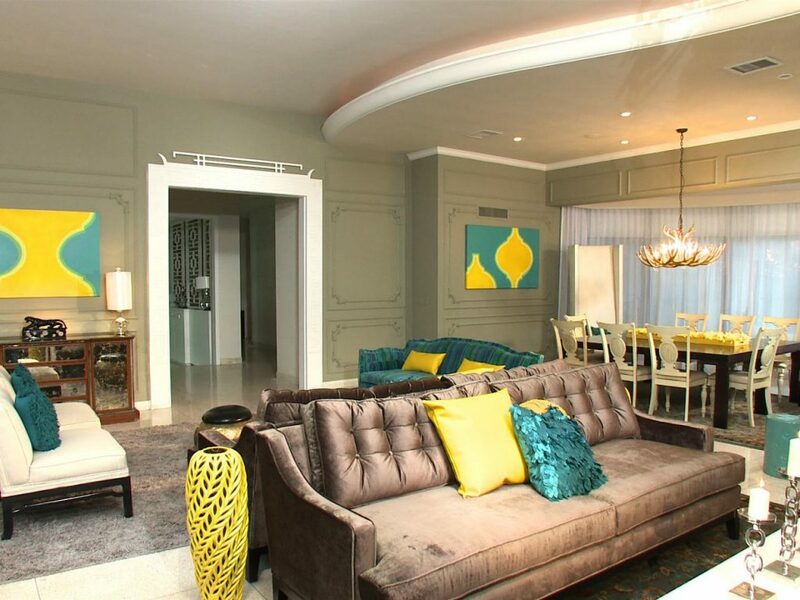 For example, the sitting room, unlike the bedroom, is a convivial space wherein you’ll entertain guests. Anything hung here should be representative of your personality and taste. 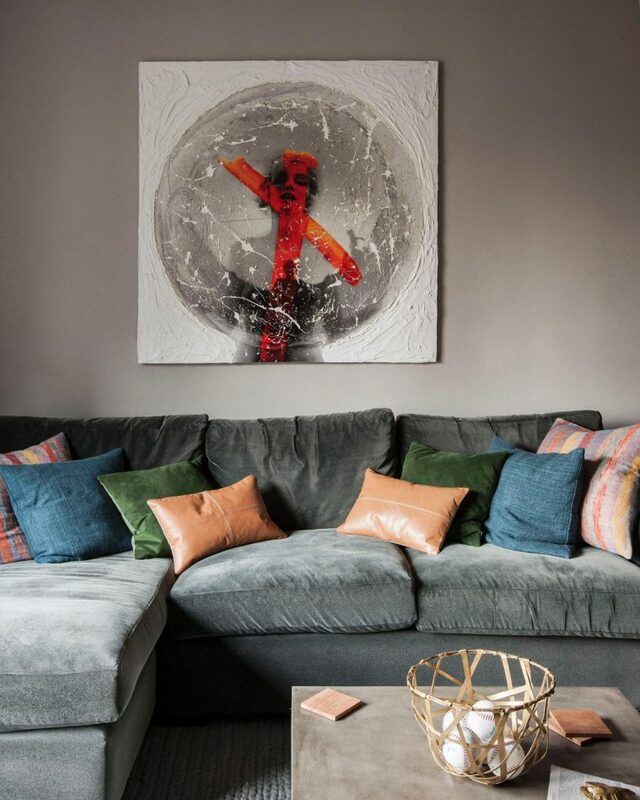 Some people opt for powerful, highly-personal art while others go for intriguing pieces that don’t exactly remain in keeping with the rest of the decor. This is OK, it’s your prerogative. If a bizarre work of art (that you love) becomes a conversation starter at every dinner party, all the better! 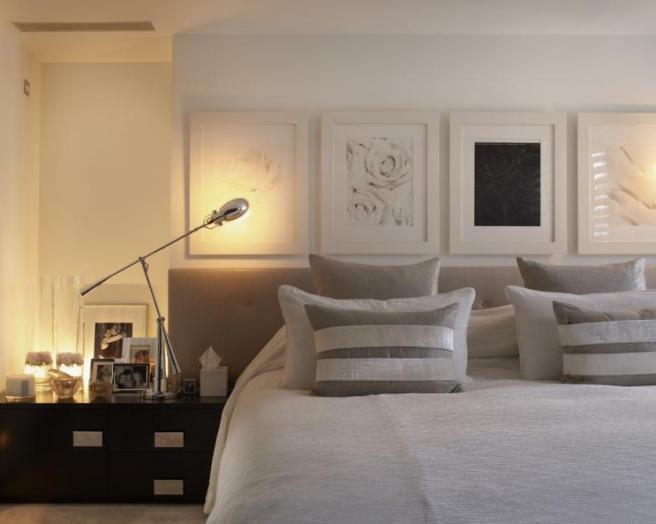 The guest room should take on a more calming and relaxing vibe than your sitting room. Your goal here is to create a chilled-out yet welcoming environment for your guests. 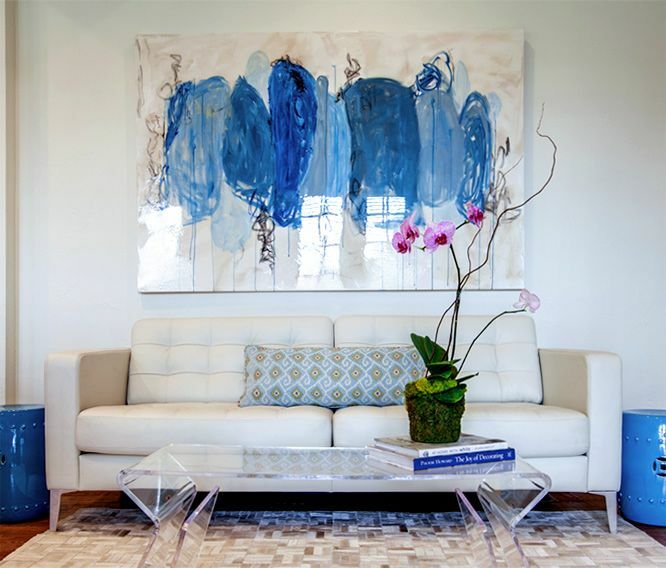 Choosing and buying artwork also depends greatly on the type of ambiance you’d like to create and the flow from one room to the next. In our series “A Room for Art”, we’ve selected art that will suit every room of your house (or flat).